Kit includes two lights & covers, wiring harness, relay and switch. 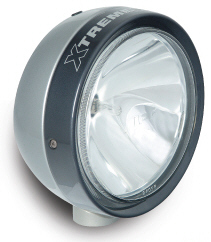 About the Product: Designed for serious 4WDers, these extreme performance lights incorporate water and dust resistant components for maximum life expectancy, no matter what the conditions. 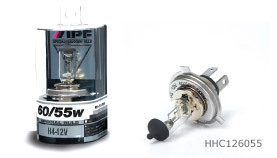 About the Product: Lightweight aluminum housings and high wattage bulbs, in addition to stainless steel hardware and gussets, have made these lamps the obvious choice for competition. 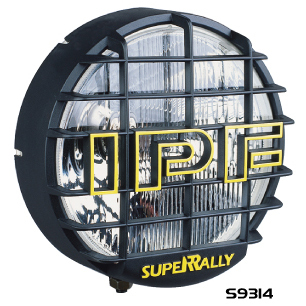 About the Product: Representing excellent quality and performance at a budget price, these lights feature a hybrid reflector, giving a combined spot and driving beam. Kit includes one light, wiring harness, relay and switch. About the Product: Purpose built for foggy conditions or foul weather, these lights should be mounted down low for optimum performance. 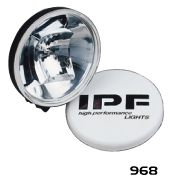 Dimensions: 6.6" x 3.5" x 2.7"
IPF Headlight Inserts - Update Your Sealed Beam Headlamps! When most people consider vehicle lighting improvements they immediately think of driving lights. 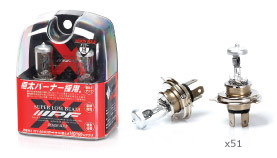 However, there is much to gain by simply upgrading the current headlights you already have. An upgraded system consists of a replacement headlight insert, superior bulbs and a high performance wiring loom. This kind of lighting technology can dramatically improve headlight performance, resulting in night driving being a safer and more enjoyable experience. ARB's high performance wiring loom is available for high wattage headlight upgrades, although visual improvements are also noticed with low wattage applications where the original vehicle wiring is inadequate. Controls 2 headlights. 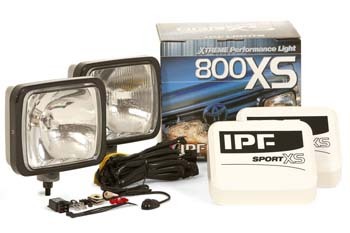 Purchase along with the IPF M002 Harness to control 4 headlight systems such as those found on the FJ62. 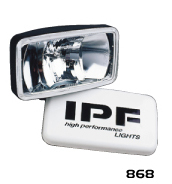 Used in conjunction with the IPFM002 to control 4 headlights.